Since the news of the newly reviewed tuition for students of Ondo State owned Adekunle Ajasin University, Akungba-Akoko (AAUA) greeted the air, management and Students Union Leaders of the institution are in disagreement over the development. ADESOLA IKULAJOLU writes. Our correspondent gathered that students who logged in into the portal for the 2018/2019 session especially the final year and new 200Level, noticed that the payment invoice did not change despite being in a new level, which sparked reactions. 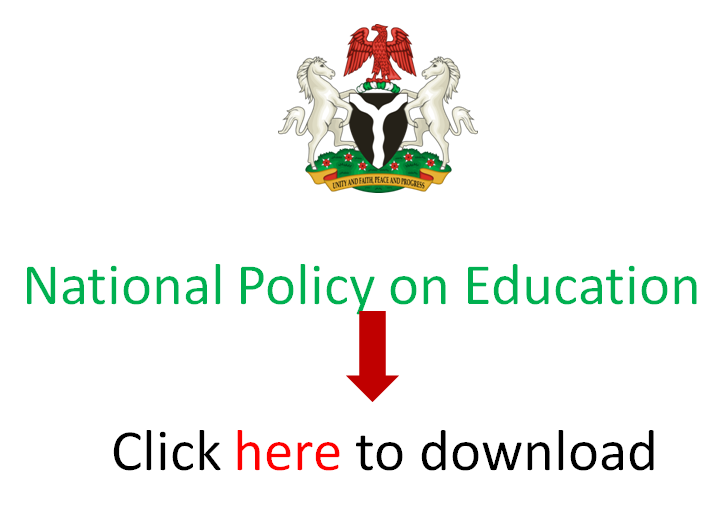 EduCeleb.com recalls that in 2018, AAUA tuition fee was increased across all faculties by Governor Rotimi Akeredolu of Ondo State, who is also the visitor to the institution. The fees were as follows: New Students of Faculty of Arts and Education pays 100,000; 200Level and 300Level pays 80,000 while New Students from Faculty of Social and Management Sciences, Agriculture, Sciences and Law pays 150,000; 200Level and 300Level pays 100,000. All final year students pays 70,000. It is observed that the arrangement has now been changed, which is causing disagreement between the management and Students’ Union. (Sampraise) has said that students should not rush to pay such fee until it is resolved. The union strictly ordered that no students should pay tuition fee “for now” as it would give instructions on next line of action. “We make to say it bold that no student should pay tuition fee for now not until all issues have been resolved. In its own reaction, the management of Ajasin Varsity through a rejoinder by the Registrar, Dr. M. S. Ayeerun, debunked that the tuition fee was not increased. He described such as a rumour. Dr Ayeerun said the attention of the university management was drawn to the rumour being circulated on social media that the fee was hiked but contrary to that, students were only asked to continuing paying last session’s fee. “The University is hereby using this medium to inform our highly esteemed students, parents guardians and the entire public that the University did not increase or propose to increase its school fees. (2017/2018) still subsists in 2018/2019 Academic Session. As such, students are to pay the fees they paid last Academic session for the 2018/2019 Academic Session,” the Registrar said. He further stressed that the news of increment should be disregarded. online registration, including payment of tuition fee, must be done before resumption. The Registrar also stressed that all new and returning students were to commence and complete their registration online. “Meanwhile, fresh and returning students are required to start and complete their online registration before resumption. All students are therefore advised to commence their online registration and payment of school fee,” he said. EduCeleb.com gathered from reactions trailing the new tuition payment arrangement that students still perceived it to be a hike. Some of the students who spoke with our Correspondent said the new review is like a silent way of increasing the fee and it shouldn’t be accepted. “The tuition fee review is really an avenue to aggravate our agony as students. Up till this moment, I haven’t summoned the courage to tell my widowed mother about the review without her contemplating my drop out. I feel the school management could have treated us better but they chose the opposite, which seems like telling us to neglect education,” a sophomore, Aluko Dorcas said. The Director of Campus Affairs at the National Association of Nigerian Students (NANS), Mr Oyedokun Isreal said the directive that students pay what they had paid the previous session was equal to fee hike. 100 level to 200 level and when at final year. Another student, Jemilugba Ifeloluwa lamented that “it is an increment. When the SUG is saying ‘no increment’, the school is saying they should write a letter. Why will they write a letter if there’s no increment? On his own side, Anjorin Philip blamed the immediate past leadership of the Union under Ijanusi Olawale for accepting an increment back in 2018. “The moment Optimum(Ex SUG President, Ijanusi Olawale) allowed it to 150,000, I knew it’s a matter of time that it might increase. The management think they will confuse us by saying we are paying what we paid last session but our portal is saying something else. Gbemisola Adesola said, “It saddens my heart when I heard about the new fee. Many are still struggling to pay for last session. All I see is that they actually played on our intelligence. If they had told us it will be like this, majority of the previous freshers would not have resumed. Most of us resumed with the hope that we would pay lesser amount the following year. However, Adepoju Williams said if the new arrangement were not an increment, the fees should have been left the way it is. maintaining the status quo. It is actually right. But the question is, why should 200 level students pay the same tuition fee with those in 100 level? By implications of the new review, 200 level students of Faculty of Arts and Education will now pay 100,000 as against 80,000; those in 300 level will maintain their 80,000 also while final year students of same faculty would pay 80,000 instead of 70,000. Students of the Faculty of Sciences, Social and Management Sciences, Law and Agriculture in 200 level will pay 150,000 instead of 100,000; 400 level (and 500L in some 5 year courses) will pay 100,000 instead of 70,000 for final year. The fresh Students will maintain their 150,000 but would pay that amount till they graduate. document for the fees to be reviewed. In a statement by his General Secretary, Mr Adekun Ayo-Lawrence, he revealed that the administration was not in favour of any increment but was coerced to agree. He maintained that in virtually all tertiary institutions, final year students pay less and do not level up with other levels in tuition fee.